Can the Urban Dream Work in the Las Vegas Suburbs? There’s a distinct difference between charisma and character. Character is earned, not instantaneously created. Charisma is charming, but often fleeting. Downtown Summerlin aims to blend both qualities with an ambitious plan to create a culturally vibrant center in an otherwise manicured HOA-driven sprawl. Summerlin, and now Downtown Summerlin, certainly do not lack in vision. The Summerlin community at-large has always had a master plan; this latest offering is one of the last critical developments in completing that plan. But this completion could also be seen as a new beginning. It’s a testament to the rebounding Las Vegas economy and the tenacity of the developer and local residents. The steel frame of the project’s early, recession-stunted incarnation loomed over the western Valley for years, a lasting sign of the boom and bust of the millennium’s first decade. Today, the vibrant array of shops is a welcome change, not only for those who live in Summerlin, but for the entire Valley. 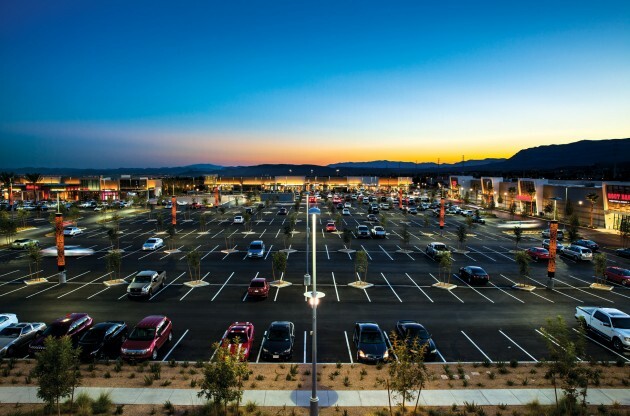 It combines the convenience of freeway access, the scenic backdrop of Red Rock Canyon and an interesting attempt at urbanism to create what could be an energetic new “urb” in a neighborhood that has been the very portrait of a bedroom community. What’s left to argue about?